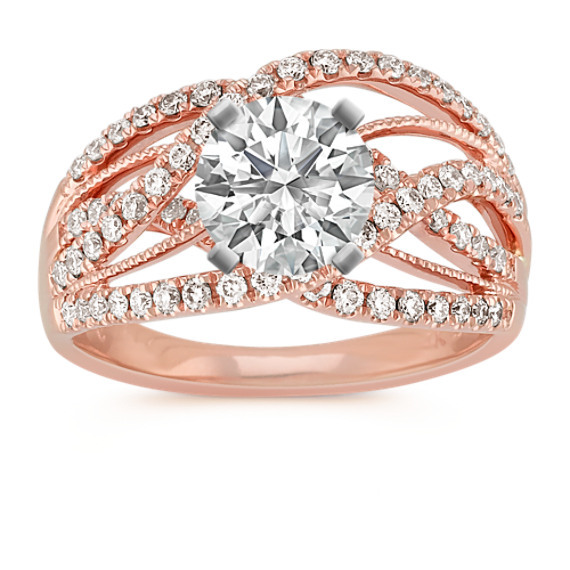 Crisscross Diamond Ring in 14k Rose Gold | Shane Co. Highlight the center gemstone of your choice in this fashionable ring featuring 74 round diamonds, at approximately .54 carat total weight, accenting in a delightful crisscross design. Each diamond has been hand-matched for superior brilliance and sparkle and pavé-set in 14 karat rose gold complete with a delightful milgrain detailing. Gemstone Carat Weight :.54 ct.